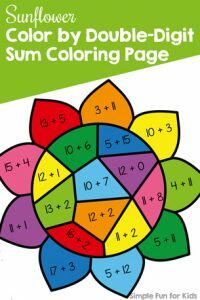 In the beginning of second grade, before moving on to equations within 100, it’s important to fluently add and subtract within 20 (common core standard CCSS.MATH.CONTENT.2.OA.B.2). 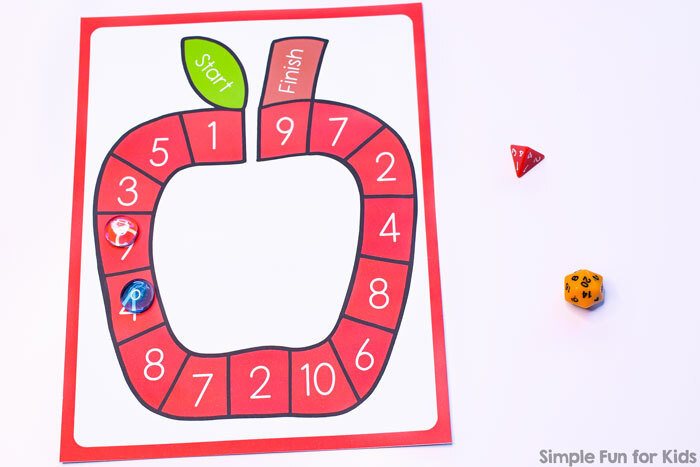 Today’s game helps make it fun: Addition and Subtraction within 20 Apple Board Game! Game piece for each player. To play the game, players place their game pieces on the “Start” space. 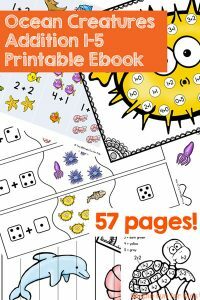 They take turns rolling the 4- or 6-sided die and moving their game pieces the appropriate number of spaces. 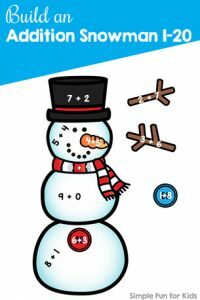 They then roll the 20-sided die and make an addition or subtraction sentence with that number whose result is the number on the space they landed on. Repeat until you reach the “Finish” space. 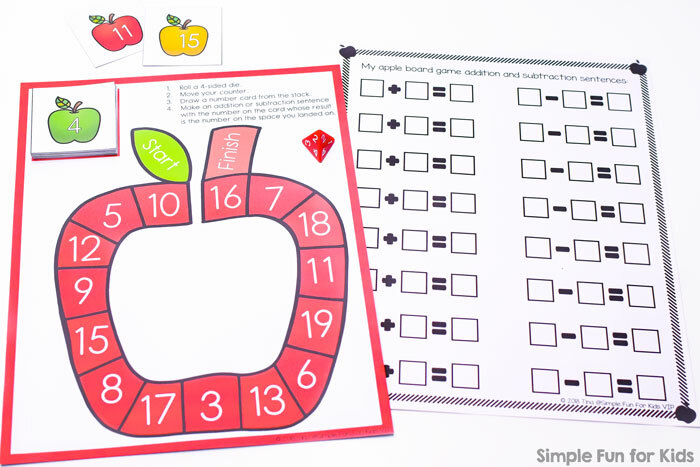 Download your Addition and Subtraction Apple Board Game! 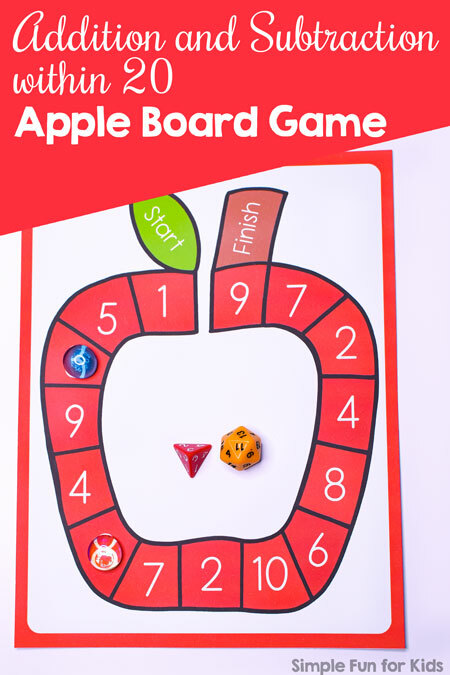 Apple Addition Board Game uses the same gameboard. 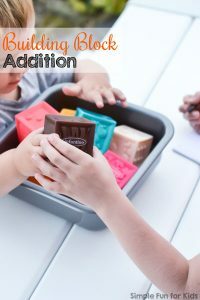 Are you looking for more addition activities? Here are a few I’ve picked out for you!